The Dubai Government launched an initiative in collaboration with the private sector, called Smart Dubai, also Smart Dubai office. Led by Sheikh Mohammed bin Rashid Al Maktoum, the purpose of this initiative is to transform Dubai into the world’s smartest and happiest city on earth and more specifically to “empower, deliver and promote an efficient, seamless, safe and impactful city experience for residents and visitors.” Under its umbrella, there is another establishment called Smart Dubai Government, also known as Smart Dubai Gov or SDG, which represents the technology part of Smart Dubai, with the directive to officially facilitate the implementation of electronic and smart transformation of Dubai Government. 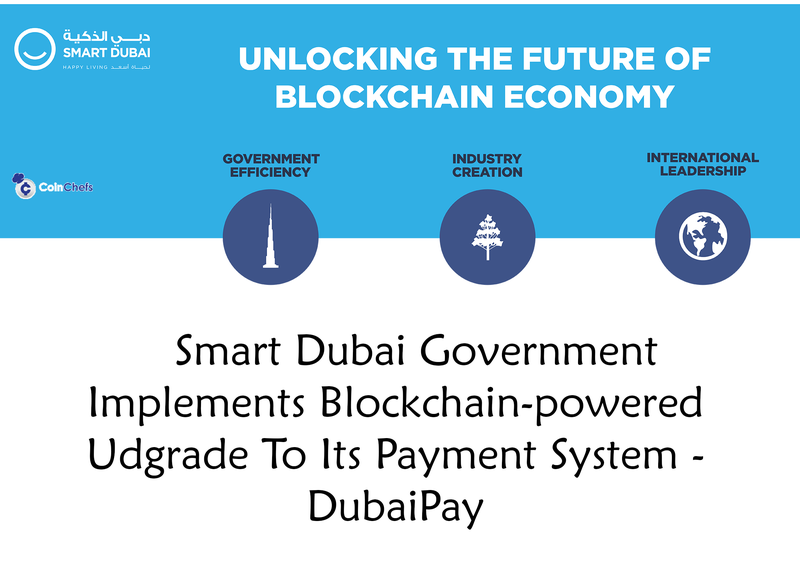 On 23 September, there was an announcement in Smart Dubai’s twitter account that they are launching a Blockchain-powered upgrade to its financial system Dubai Pay. The upgrade was developed in collaboration with #Dubai Department of Finance, and it will serve as “Payment Reconciliation and Settlement” aiming to allow secure real-time monitoring and processing of payments and government transactions. The DubaiPay is an online payment portal service which enables customers to make inquiries for the amount of money they owe to government entities (using text messages) and to make payments to clear those dues. Besides, a total of 10 million transactions have been performed with DubaiPay, and the collected amounts from June 2016 to June 2017 is 12 Billion AED. Considering those volumes, it is safe to say that the decision to implement blockchain technology in the payment portal is adequate and could be beneficial. It is “meant to primarily enhance government efficiency by transferring all transactions to the blockchain network,” as told for Gulfnews by Mira Sultan Obaid Abdul Rahman, director of smart services-enablement department at Smart Dubai Government. “Blockchain is not going to replace the current technology, but it is going to compliment it and can be introduced in many industries such as identity, property, healthcare, energy, trading, loyalty programmes, to name a few,” she added. This new blockchain-based system is seen as a powerful tool, implementing the latest technology innovations, which would deliver more seamless, safe, efficient, and impactful experience for all sectors in the city. It would also save time and effort, by enabling a paperless digital layer for all city transactions, since currently the employees at the Department of Finance perform manual reviewing of transactions and transferring of balances, which is time-consuming and prone to human error. At the launch event on September 23, 2018, Dr. Aisha Bint Butti Bin Bishr and the SDG chief executive Wesam Lootah have spoken about the new projects and stated several announcements. One of them is that The Dubai Electricity and Water Authority (DEWA) and the Knowledge and Human Development Authority (KHDA) have already processed a combined 5 million transactions using the new blockchain platform. Several other government agencies including Dubai Police, the Roads and Transport Authority, Dubai Airports, Dubai Customs, Dubai Municipality, and other local government bodies are joining the blockchain platform shortly. 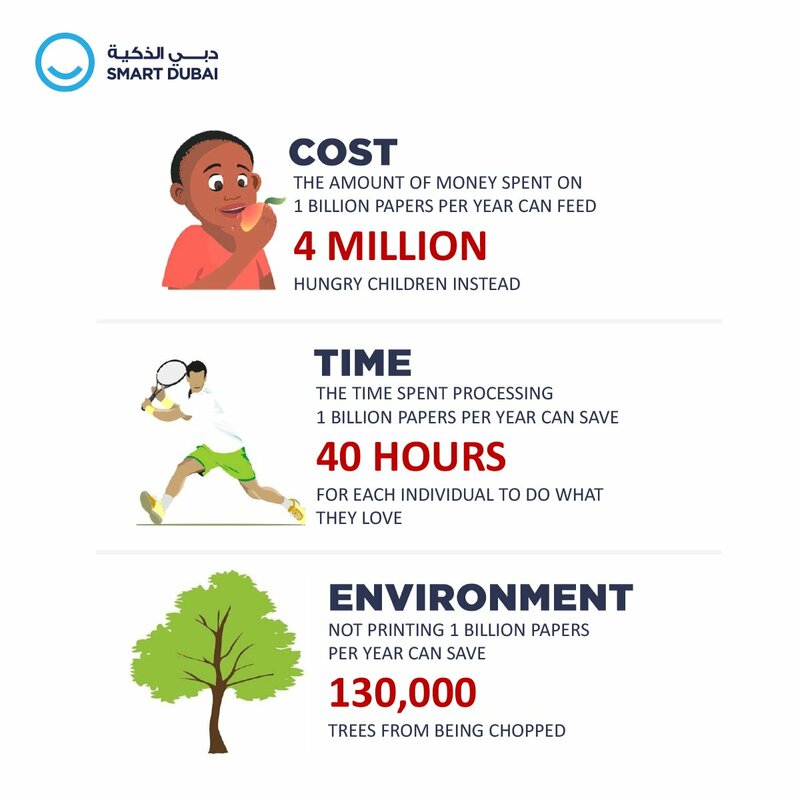 You can learn more about Smart Dubai initiative here.